Falconeer (also known as Falconoid) can fly amazingly fast, with great maneuverability targeting its prey from high above. It is a bird beast with extreme vision seeing things in the far distance. 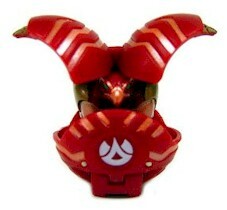 Most importantly, this special Bakugan can resurrect itself and right any wrong it may have experienced. Defeating it once is simply not enough. It resembles the Egyptian God Ra. Purchase Falconoid or Falconeer from Amazon now!